Jonas Brothers have pretty big plans this year. In fact, they went exclusive about their plans in a video clip posted by E! News. Yes! The world will get to see the Jonas Brothers perform together after a long time. In fact, they have already scheduled their tour. Further, the E! 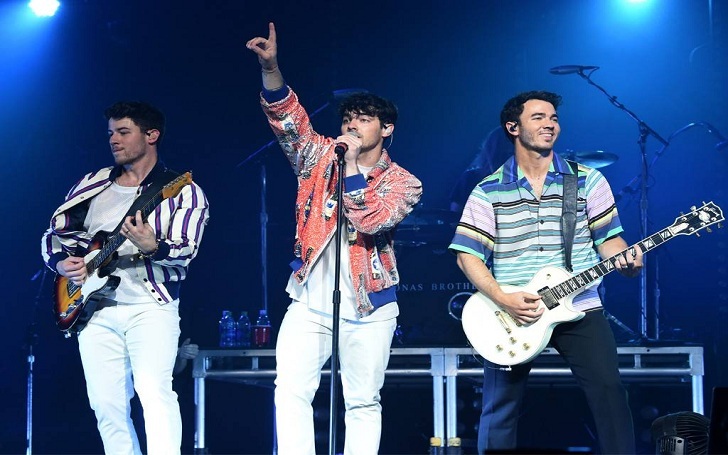 News clip also showed the brothers, Joe Jonas, Nick Jonas, and Kevin Jonasdish, speak about their respective wife and how they have made positive impacts on their musical career. Well, the JoBros revealed a lot about their plans this year during their chat with Candice Huckeba on her Radio Disney show Candice On Air. You keep asking us these questions we can't answer, We'll tell you when the time's right. We'll definitely tour this year at some point. The interviewer later shifted to talking about their wives and their contribution to their music. In fact, the three ladies were the part of their song "Sucker" where the girls, Danielle Jonas, Priyanka Chopra, and Sophie Turner, can be seen in a glamorous avatar. They also released their single "Cool" on April 5, which is presented as the homage to retro Miami. Want to listen to the full interview? Check out Radio Disney on Friday, April 19.